Great poster even if the film doesn't necessarily look like that! 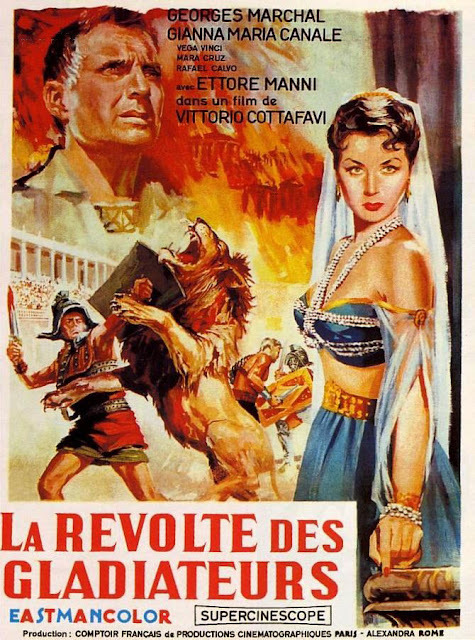 Great poster showing Gianna scowling in her Patrician villainess role. She was always first class in such parts. The American title THE WARRIOR AND THE SLAVE GIRL makes no sense at all. The more accurate Italian/French/Spanish titles all translate as THE REVOLT OF THE GLADIATORS.